This Kingston memory card is hip and versatile, and it is built for providing high-quality digital images and taking your digital content with you. The Kingston SDC4/8GB is very durable, without any moving parts, which allows you to keep digital images and videos without fear of loss from mechanical failure. 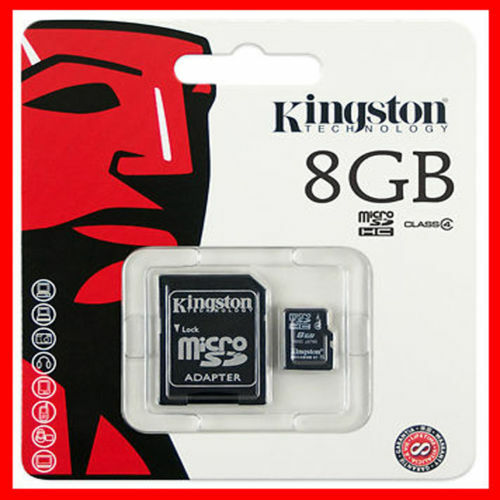 This Kingston 8 GB memory card is transportable and lightweight, so you can make use of it whenever you want. With the awesome class Class 4 speed rating speed featured on this Kingston memory card, you can catch and store life’s special moments continually. Plus, the Kingston SDC4/8GB helps you to preserve dozens and dozens of 4 MP uncompressed pictures for as long as you need to thanks to its quite large storage space.